Welcome to the William and Nancy Budd Scholarship Fund web site. 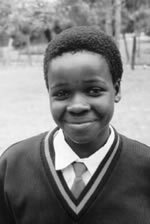 The William and Nancy Budd Scholarship Fund provides scholarships for secondary school and university students in Kenya. It finances full tuition for students in Forms 2, 3, and 4 (grades 10-12) and a significant portion of university-level tuition. In 2016, the cost for one student to attend secondary school at a provincial school was about $500 USD per year. At the national school level the cost was $925 USD. Budd Scholars come from every province in Kenya. Many are orphans. Often they are from poor rural areas. Some, particularly girls, were discouraged from attending school. But the Budd Scholars also share a common vision – education will free them from poverty and ignorance. They have courage, determination, and commitment. Despite their struggles, they remain hopeful. They dream of becoming engineers, doctors and pilots. To learn more about the scholarship, click the links above. To contribute to the William and Nancy Budd Scholarship Fund, click on the Donate link. All of the funds received for the scholarship fund goes directly to the National Council of Churches of Kenya, the organization that administers the scholarship in Kenya. For inquiries, please contact William Budd III, president of the fund.